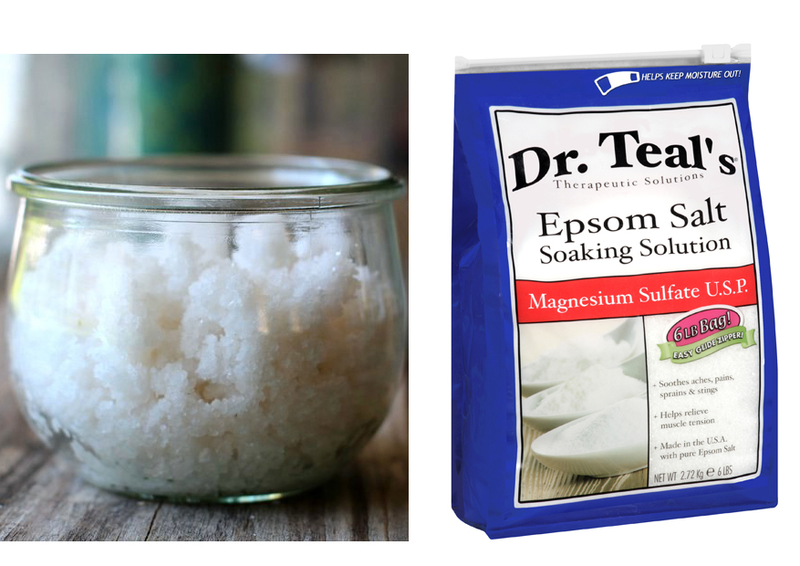 Many people have asked about whether Dead Sea salt and Epsom salt are the same. They have also asked whether these types of salt are actually edible. Of course, both Dead Sea salt and Epsom salt are mostly popular as bath salts. A bath salt is mixed into your bath water to provide therapeutic effects useful for treating some conditions as well as enhancing the overall skin wellness. But there are also other less-known uses of these salts. 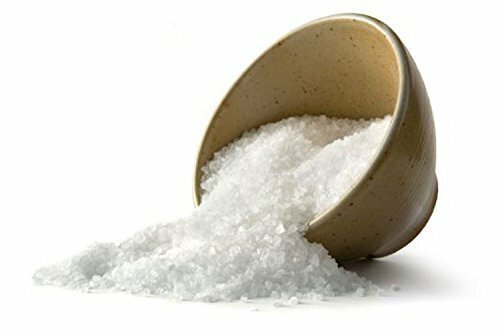 Therefore, in the following article, we are going to see what are Dead Sea salt and Epsom salt actually, what they have in common, what make them different, as well as their offered benefits. So, if you have been wondering about these two interesting types of salt, continue reading below! 2 What is Dead Sea Salt? Before we proceed further, it is wise to get to know the technical definition of salt first. Although the salt that most people are familiar with is the table salt, sodium chloride, technically any chemical compound that is formed from a reaction between an acid and a base is salt. So, there are various types of salt. The table salt is scientifically known as sodium chloride, and this is just one type of salt. Some types of salt are edible, whereas many others are not and possibly toxic. Dead Sea salt refers to salt that is extracted or taken from the Dead Sea, a salt lake that is bordered by Jordan, Israel, and Palestine. Of course, the Dead Sea is a very popular tourist attraction; while an ocean usually only has 4% salt content, the Dead Sea has a salt content of 29%. Due to the extreme density, people can easily float on its water. The shores of the Dead Sea are also covered by salt. However, only about 12 – 18% of Dead Sea salt is sodium chloride. The other contents are other ions and minerals, such as bromide, magnesium, calcium, and potassium. The bromide content is very high, and bromide is toxic if eaten. Dead Sea salt is popular as a bath salt, but there are some edible Dead Sea salt products that have been processed for consumption. Epsom salt is named after the bitter saline spring in Epsom, England. It is not exactly the salt that you often encounter in kitchens. It is a naturally occurring mineral compound made of magnesium and sulfate. It can be formed naturally or synthetically. It has been used for a long time for various purposes, such as treating a number of ailments, beauty, household, and gardening. Epsom salt can be eaten medically as a laxative and as a treatment for some electrolyte imbalances, but it is very strong and should be consumed under medical supervision. We can differentiate Dead Sea salt and Epsom Salt by the source. The term “Dead Sea salt” is used exclusively for salt that is extracted or acquired from the Dead Sea. On the other hand, Epsom salt can be acquired naturally from many places around the Earth or formed synthetically by reacting magnesium with sulfate. So, due to the exclusive source, you may often find Dead Sea salt products to be more expensive than Epsom salt products, though this may vary according to your location. Obviously, these two types of salt differ greatly from each other in terms of chemical compositions. Dead Sea salt is acquired from the water and shores of the Dead Sea, and it is actually a collection of different mineral compounds of salt. It contains various minerals and ions. It is very rich in magnesium, sodium, potassium, calcium, and bromine. It has 12 – 18% sodium chloride, which is the usual table salt people use for cooking. On the other hand, Epsom salt is a specific type of salt, and is simply composed of just magnesium sulfate. There is no other mineral, and certainly no sodium chloride. Both Dead Sea salt and Epsom salt are very popular as bath salts. You use a bath salt by mixing it into the water that you are going to use for bathing. 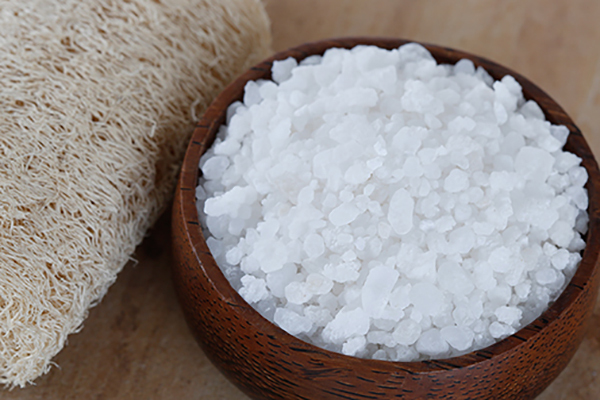 A bath salt will provide nutritious elements to be absorbed by the skin. Some skin and muscular conditions can be treated by using either Dead Sea salt or Epsom salt as a bath salt. Because of the varied mineral contents, Dead Sea salt is very mineral rich and can help to ease various conditions, such as osteoarthritis, rheumatic arthritis, psoriatic arthritis, acne, and psoriasis. It can also treat allergies and reduce skin wrinkling. It also acts as a skin conditioner and pain reliever. Compared to Epsom salt, some people find Dead Sea salt to feel more pleasant because it is not slimy. On the other hand, when used as a bath salt, Epsom salt is said to be effective to reduce stress and relax the body, relieve pain and muscle cramps, relieve constipation, prevent the hardening of arteries and blood clots, and eliminate toxins from the body. It is slightly slimier on the skin compared to Dead Sea salt. Recently, there are some Dead Sea salt products for cooking. Some of these products are mixed with other blends such as black pepper, hot chili pepper, jalapenos, and seaweed to produce exotic and distinctive tastes. On the other hand, Epsom salt is not for cooking. It can be used as a laxative or as a treatment for some electrolyte imbalances, but should be used under medical supervision. Dead Sea salt and Epsom salt are very different types of salt. Dead Sea salt is acquired exclusively from the Dead Sea, and contains various mineral compounds. It is mostly used as a bath salt, but there are now some products for cooking that offer exotic and distinctive tastes. Meanwhile, Epsom salt can be acquired naturally or synthetically, and only contains magnesium sulfate. It is used as a bath salt, and medically as a laxative and a treatment for electrolyte imbalances, but not for cooking.